Horace, I think you are great and I love to hear about your adventures! 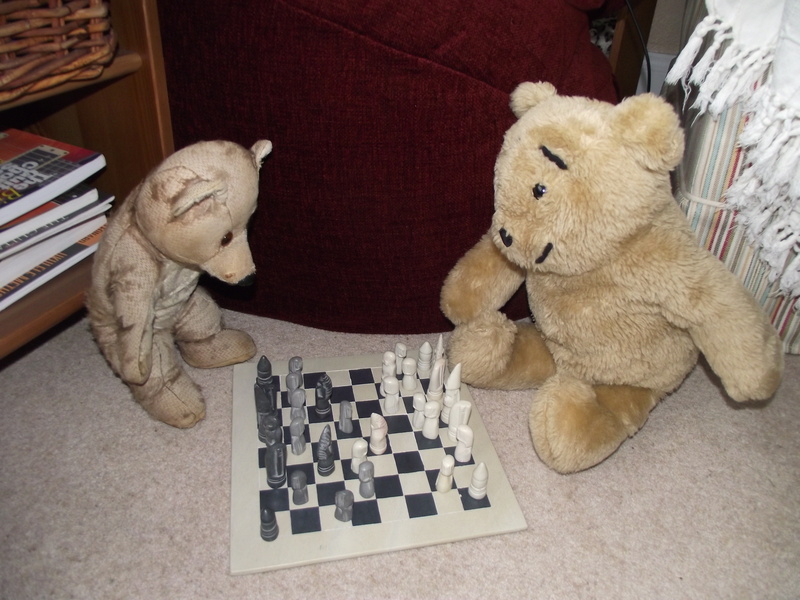 I too have a collection of Alresford bears and my Alresford honey bear (who looks just like you) has been with me for 36 years. Long live Horace and friends! G’day Horace. Greetings from Western Australia. I’m Henry Alresford. Pleased to meet you. At 28″ tall I’m quite a big fellow but mum says I’m not hard to feed. From my label I was born in the mid 70s at the Town Mill in Alresford, which would make me around 40 years old. I’ve been with mum since I was born and she’s taken pretty good care of me. She says she attaches a great deal of sentimental value to me, which is surprising considering I don’t do much around the place. I’m a pretty laid-back sort of bloke. Still, I’m here to comfort her if she’s feeling a bit down so I guess that counts for something. I can handle a few hugs now and again (blush). Wish I could send you a couple of pics of me but mum’s not into Facebook, Twitter, Gossip, Chatter (or whatever they’re called). Good ol’ Google is about her stretch. Hope things are going well for you in England. Might be a bit cold for me there considering I’ve lived all of my life in the sunshine. Well, that’s it, mate. See you around. Hi Henry. Thank you very much for your message to Horace – he is always very happy to hear from his relatives from around the world.